Take a piece of ordinary vinyl and transform it into an embossed leather look! Learn tips and techniques for using difficult fabrics – taking “OK” results to “amazing” results! 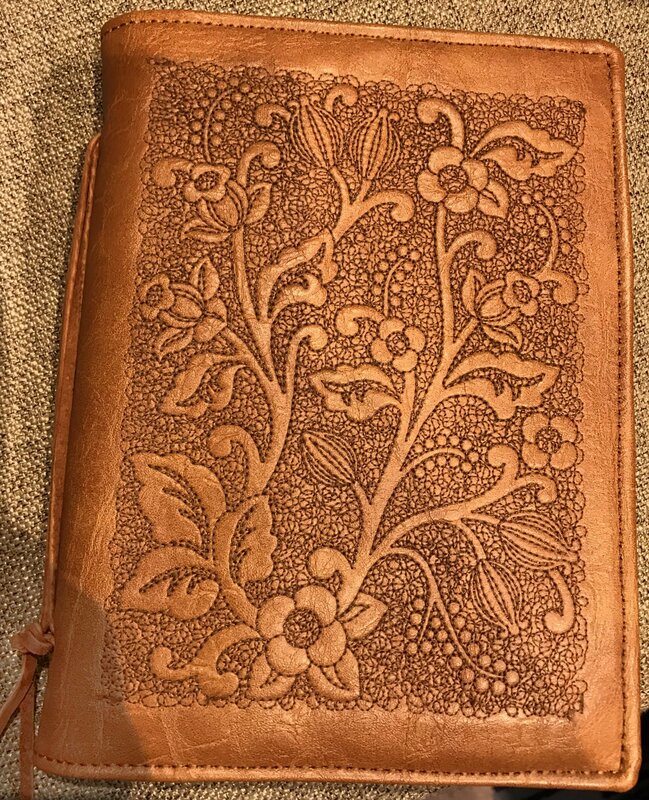 Leave with a very high end looking Journal Cover that you have created using exclusive embroideries, optional feet and decorative trims. Kit included, bring lunch or a snack.